Although we already take privacy and data protection seriously and have processes in place to protect personal information in accordance with existing data protection legislation, all staff and governors at the School have been working hard to be compliant ahead of the new data protection laws introduced on 25th May 2018. 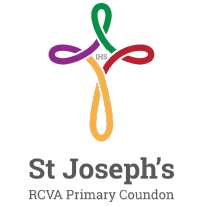 At St Joseph’s RCVA Primary School we use physical and digital security to ensure that personal information is kept safe and accessed appropriately by the people who need it to perform their roles in educating and safeguarding the children. Sometimes other organisations or companies that provide services to us have limited access to information but we carry out checks to ensure that they handle the data in line with our policies. These policies will be reviewed and updated as necessary when the Data Protection Bill receives royal assent and becomes law (as the Data Protection Act 2018) – if any changes are made to the bill that affect our school’s processes and procedures. Our updated privacy and data protection documents are available below.